WrestleMania Week & Happy Birthday Michael PS Hayes! Looking At The Career of Wrestling Promoter Jerry Jarrett, Randy Orton & AJ Styles Smackdown Promo on Independent Wrestling. 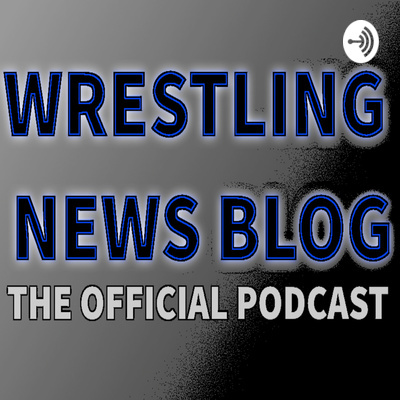 In this week's episode of The Wrestling News Blog Podcast we look at the history of Memphis Wrestling promoter Jerry Jarrett. Ed also discusses the segment from last week's WWE Smackdown involving AJ Styles and Randy Orton plus a recap of recent wrestling news headlines from wrestlingnewsblog.com SEGMENTS: AJ Styles and Randy Orton This Week In Wrestling News AEW Update A Look at The Career of Jerry Jarrett Editors Note: *We open the show with remarks about the horrible events that took place in New Zealand. Our prayers are with all who have been affected. There are 4 Segments in today's podcast along with an audio clip that you don't want to miss. Segment One - WNB Podcast Mission Segment Two - Recent Examples of Wrestlers Sharing Their Faith (Roman Reigns and The Undertaker) Segment Three - Ronda vs Becky Segment Four - "Blast From The Past" - The Original Concession Stand Brawl. Lawler and Dundee vs Latham (later Moon Dog Spot) and Farris (later Honky Tonk Man).